Kathryn is developing content for a number of new GHGMI courses. Kathryn has been working on climate change policy for over a decade. Her experience includes greenhouse gas inventory development, carbon offsets policy and protocol development, and climate action planning at many levels of government (international, national, and state). Kathryn’s career began in 2001 when she joined the Climate Change Program Office of the United States Department of Agriculture (USDA) and later the Climate Change Division of the U.S. Environmental Protection Agency (U.S. EPA). In these positions, Kathryn served on and supported U.S. delegations at international climate change meetings, helped prepare the U.S. Inventory of Greenhouse Gas Emissions and Sinks submitted annually to the UNFCCC, was a lead author on both the IPCC Good Practice Guidance for LULUCF and the 2006 IPCC Guidelines, developed the first US Agriculture and Forestry GHG Inventory published by USDA, and served as an expert reviewer of national greenhouse gas inventories for the UNFCCC. After moving to Los Angeles in 2006, Kathryn worked as a freelance consultant for several years where she applied her expertise to US state-level climate action planning, GHG offset protocol development and other GHG accounting projects, and continued to occasionally serve as an expert reviewer on behalf of the US government. In 2007, she joined GHGMI’s Advisory Board and later developed GHGMI’s course on GHG Accounting for Forest Inventories. In 2009, Kathryn joined the Climate Action Reserve as a Senior Policy Manager where she led development of agriculture sector GHG offset protocols and oversaw development of other non-agriculture protocols. She facilitated multi-stakeholder working groups, and led staff in resolving complex policy issues such as identifying thresholds for additionality, and developing rules to allow for project aggregation and stacking of multiple environmental credits. She also worked with other senior staff on near-term organizational strategic planning and annual planning of the conference, Navigating the American Carbon World. 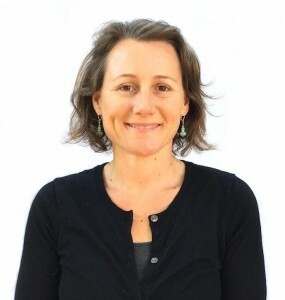 In 2013, Kathryn briefly served as the Director of Programs for Climate Resolve, an LA-based climate change advocacy organization where she directed implementation of programs, including local climate science communications, urban heat island mitigation, and Los Angeles climate policy initiatives related to transportation, water, and land use planning and climate adaptation. Kathryn holds a Masters of Environmental Management (M.E.M.) from Duke University and a Bachelor of Arts (B.A.) in Integrative Biology from the University of California at Berkeley.